Verdi’s Il Trovatore kicks off Great Performances at the Met, Season 10, followed in February by another Verdi opera, Otello. Season 12 continues on PBS Sunday, March 25, at 12:00pm with the American premiere of Thomas Adès’s The Exterminating Angel, a surreal fantasy about a dinner party from which the guests can’t escape. 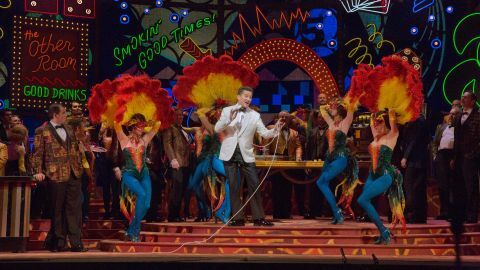 Great Performances at The Met returns to PBS for its twelfth season in 2018, delighting audiences with nine productions featuring the world’s leading stars of opera. Hosted by Deborah Voigt, the special covers a wide range of operatic ground, from heartbreak to hilarity, delivered by such artists as Natalie Dessay, Plácido Domingo, Renée Fleming and more. Featuring 19 arias and duets selected from the past eight seasons of Great Performances at the Met broadcasts. 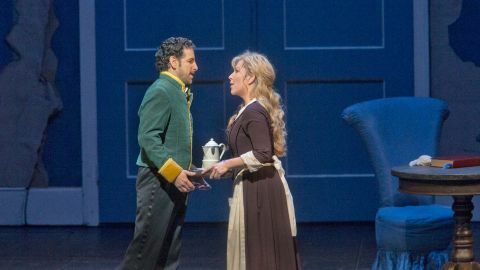 Joyce DiDonato sings the title role in Rossini’s Cinderella story, with bel canto master Juan Diego Flórez as her dashing prince. DiDonato has sung Angelina at major opera houses all over the world, and Flórez is one of the world’s foremost Rossini tenors, currently counting 17 of the composer’s tenor roles in his repertory. Met Music Director James Levine conducts Mozart’s barbed romance, a comic masterpiece about the romantic complications that ensue when a pair of friends decide to test their fiancées’ fidelity. 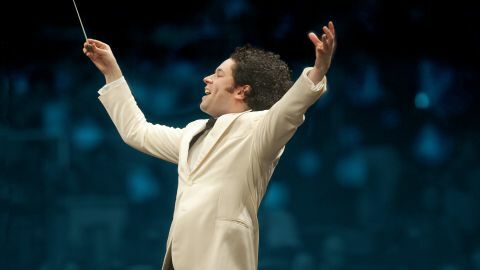 In commemoration of the 2013 Giuseppe Verdi bicentennial, Music Director Gustavo Dudamel and the Los Angeles Philharmonic perform Verdi’s towering Requiem Mass with soloists Julianna Di Giacomo (soprano), Michelle DeYoung (mezzo-soprano), Vittorio Grigolo (tenor) and Ildebrando D’Arcangelo (bass). Tenor Jonas Kaufmann stars in the title role of the tortured poet in the Met’s new production of Jules Massenet’s Werther. 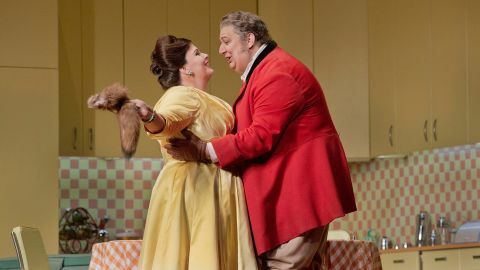 French mezzo-soprano Sophie Koch, in her Met debut is Charlotte, the object of Werther’s unrequited love. 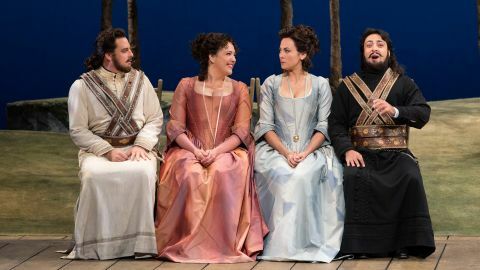 The cast includes Lisette Oropesa as Sophie, Serbian bass-baritone David Bižić in his Met debut as Albert, and Jonathan Summers as Le Bailli. 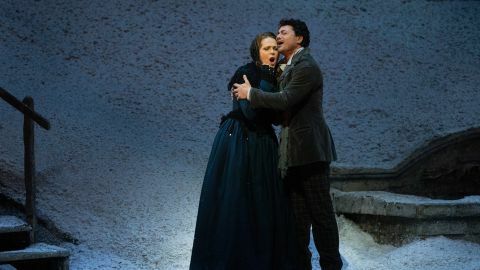 Starring Italian tenor Vittorio Grigolo as the poet Rodolfo and Latvian soprano Kristine Opolais as the seamstress Mimì. Opolais made history when she agreed to make her company role debut as Mimì with just a few hours notice, having sung the title role in Puccini’s Madama Butterfly for the first time at the Met the night before. She became the first singer in Met history to debut two major roles in a 24-hour period. 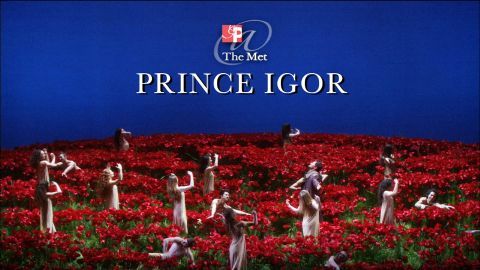 Borodin’s historic Russian epic Prince Igor, performed by the Met for the first time in nearly 100 years, comes to Great Performances at the Met on June 22, 2014. The acclaimed new production by director Dmitri Tcherniakov, in his Met debut, stars Ildar Abdrazakov as the heroic title character, a 12th-century ruler who defended Russia against invading Polovtsian forces. Star conductor Yannick Nézet-Séguin leads a cast that also includes Piotr Beczala as the handsome Prince. Verdi’s final masterpiece in its first new Met production in 50 years — and conducted by Met Music Director James Levine in his first Great Performances at the Met in nearly two years. Ambrogio Maestri sings the basso buffo role of Sir John Falstaff, the boorish character in Shakespeare’s Henry IV and The Merry Wives of Windsor. Acclaimed American soprano Patricia Racette stars in one of opera’s greatest roles as the ultimate diva, Floria Tosca, in Luc Bondy‘s production of Puccini’s classic drama. 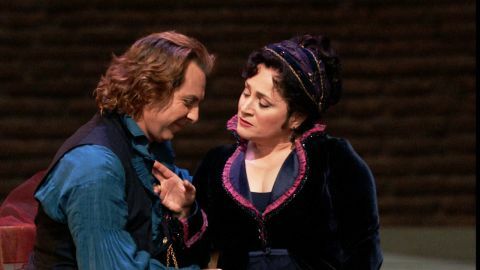 French tenor Roberto Alagna sings Tosca’s lover, the painter Cavaradossi, and Georgian baritone George Gagnidze is the corrupt, lustful Scarpia. One of this generation’s most venerated tenors died Friday. Happy 80th Birthday Mirella Freni! Great Performances celebrates opera great Mirella Freni's 80th birthday.